Originally a continuum on a single page, Mount Holly now serves as the demarcation point separating what is now a two page piece. In reality, the location also accomplishes this as a division of railroad ownership and operation. 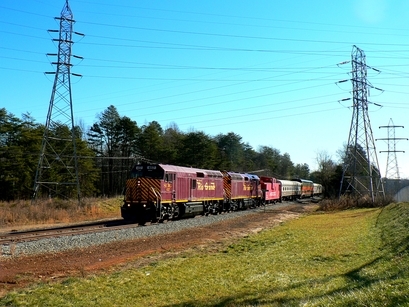 From just past the P&N depot east to Charlotte, the sector falls under the jurisdiction of CSX. 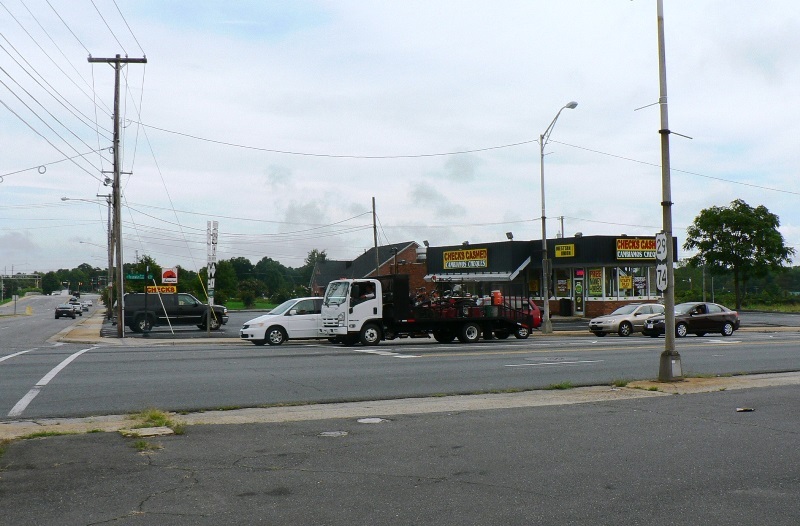 From the depot area west to Gastonia, ownership is under the NCDOT who in turn leases it to an independent operator. In the scope of the Piedmont and Northern.....Yesterday and Today, Part II resumes with the Mount Holly area moving westward to Gastonia. Included are the branches to Belmont and Spencer Mountain as well as the operations in the 21st century. Credits for both pages appear at the bottom of this page. ​To begin with or return to Part I, click here. 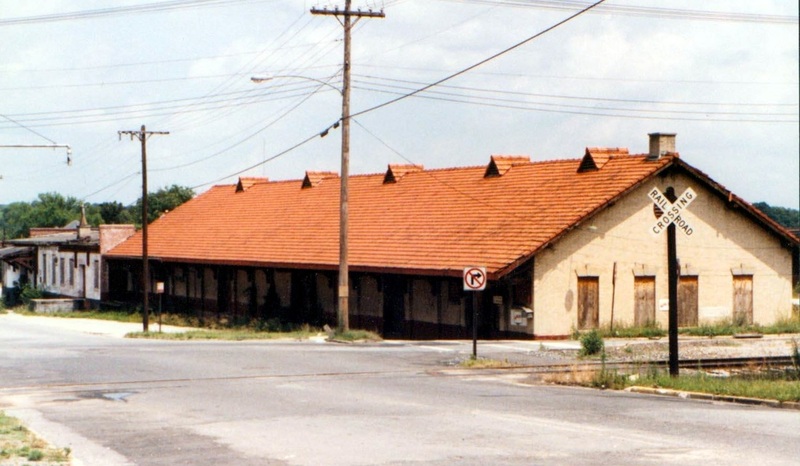 ​The old Piedmont and Northern depot as it appears today. 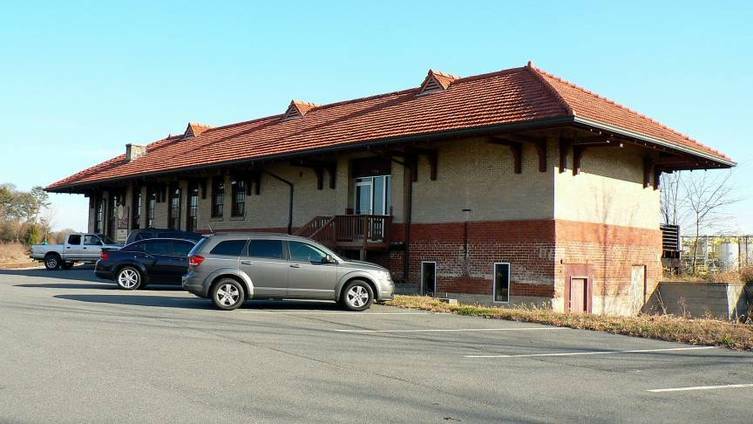 Still in use as a beauty shop and office space, it is situated at the railroad focal point in Mount Holly. It is one of a surprising number of reminders from this short line that still exist more than forty years after it was absorbed by the Seaboard Coast Line. Dan Robie 2012. 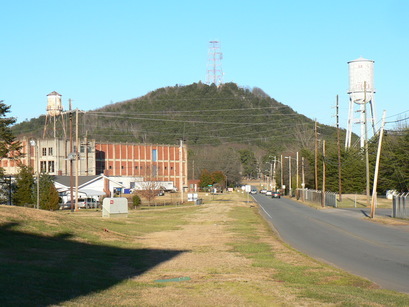 During the Family Lines era, Clinchfield power was a frequent visitor to the Mount Holly area. This 1978 image captures a coal train led by SD45-2 #3621 diverging from the Seaboard Coast Line main onto the P&N (also SCL at this date). 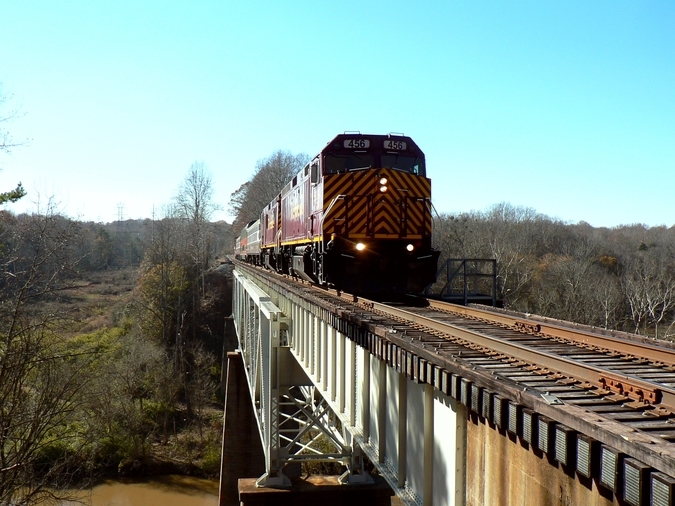 The connection was added to enable coal trains from the Clinchfield to access the old Duke Power line to the Riverbend and Marshall power plants. Image Max Toomey. 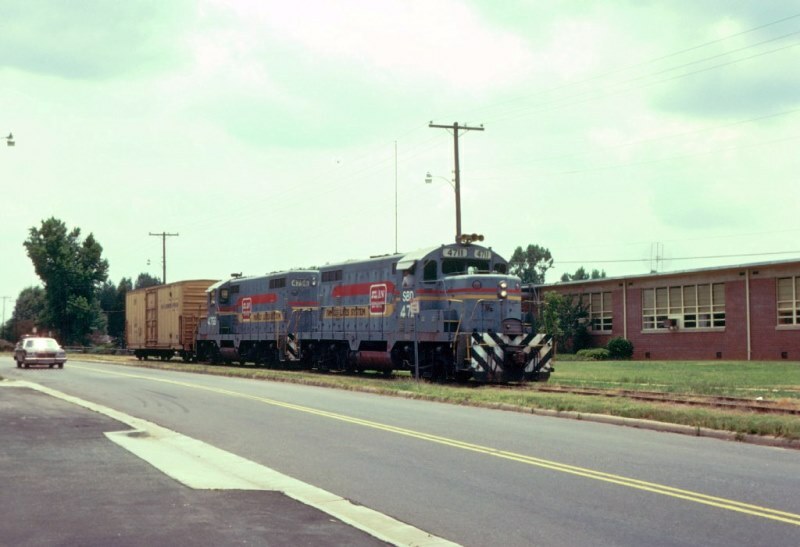 For many years, Mount Holly generated freight revenue for the Piedmont and Northern related to textiles and general merchandise. 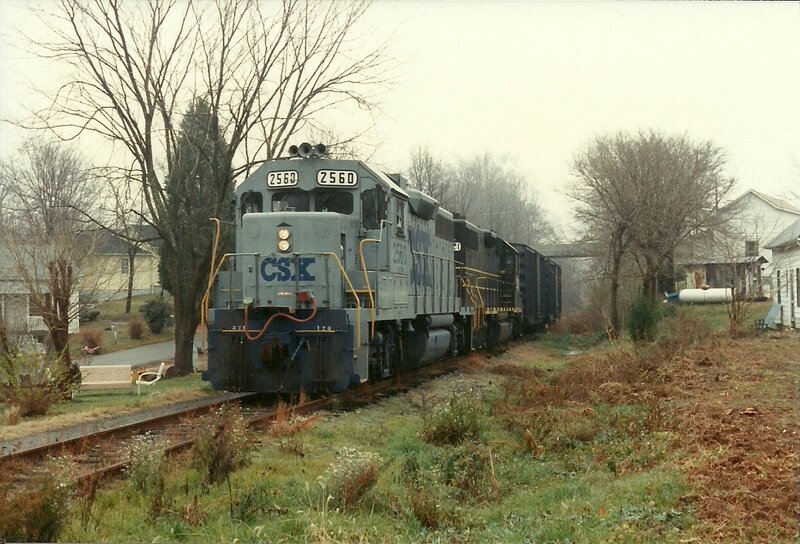 Today, the former trackage now owned by CSX still hosts customers that create carloads of traffic. Most notable in scope is the traffic at Sodeyco and the Transflo facility eastward near Thrift and to Clariant on the Gaston side. 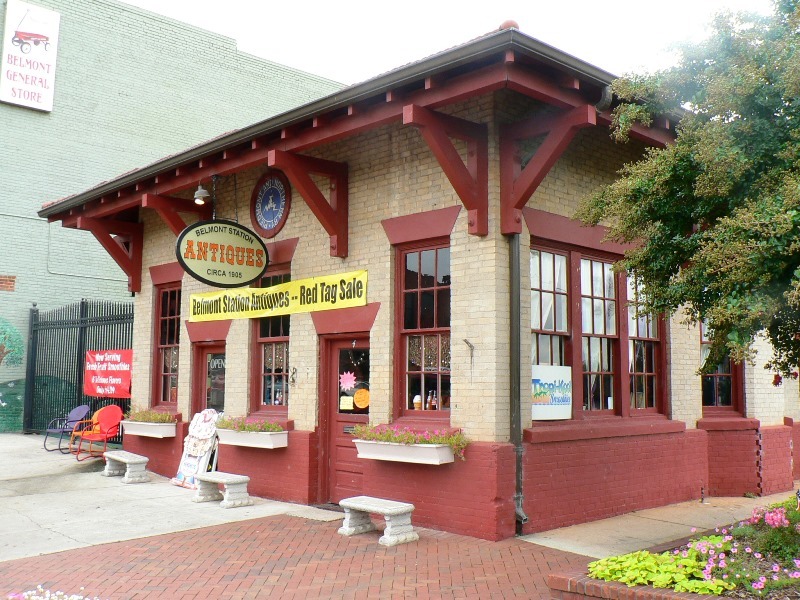 Long ago as the most populated location between Charlotte and Gastonia, it was a strategic point for passenger and interurban business as commuters traveled to and from those two primary centers of commerce. The largest shipper here on the P&N was the Gaston Brick Company that existed until the early 1970s. A 1922 Sanborn map of what was then the heart of Mount Holly. Both the Seaboard Air Line and P&N are depicted but of note for this page is the P&N depot and the Gaston Brick Company. 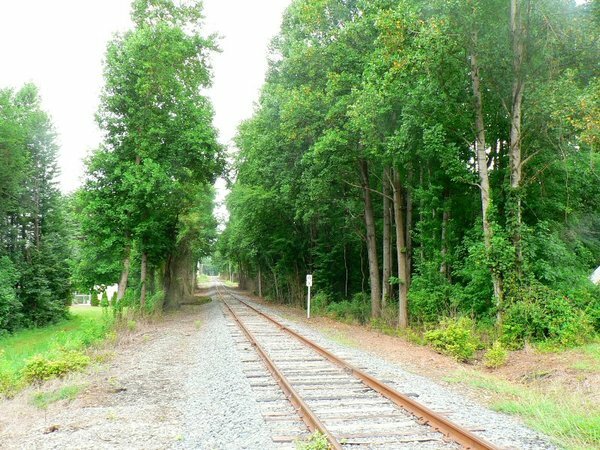 Belmont was served by the P&N via a branch that left the main on the west side of Mount Holly. The location has a place name that was listed in the timetables simply as Belmont Junction. 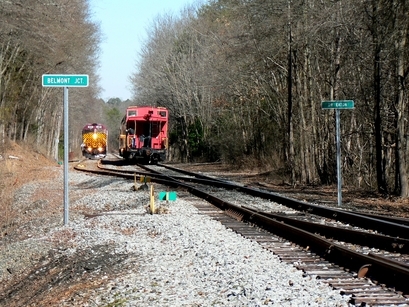 This branch runs for 3.1 miles roughly paralleling Mount Holly-Belmont Road from Mount Holly to Belmont. A small section of the Belmont line has been reconstructed and is presently utilized for locomotive storage by the new P&N. 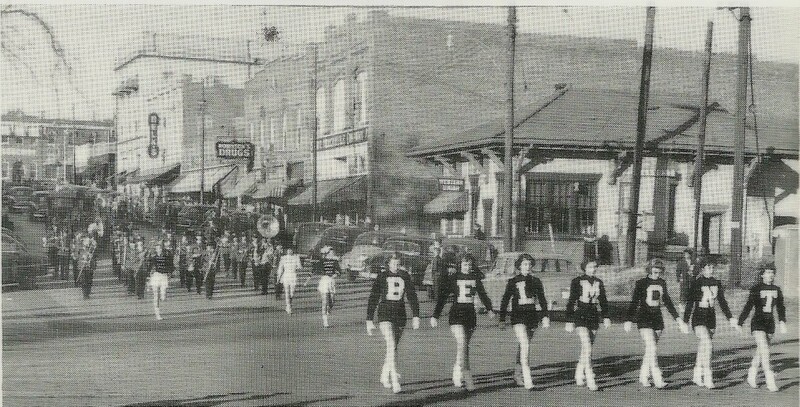 A Belmont High School parade marches on North Main Street towards the Southern Railway grade crossing. 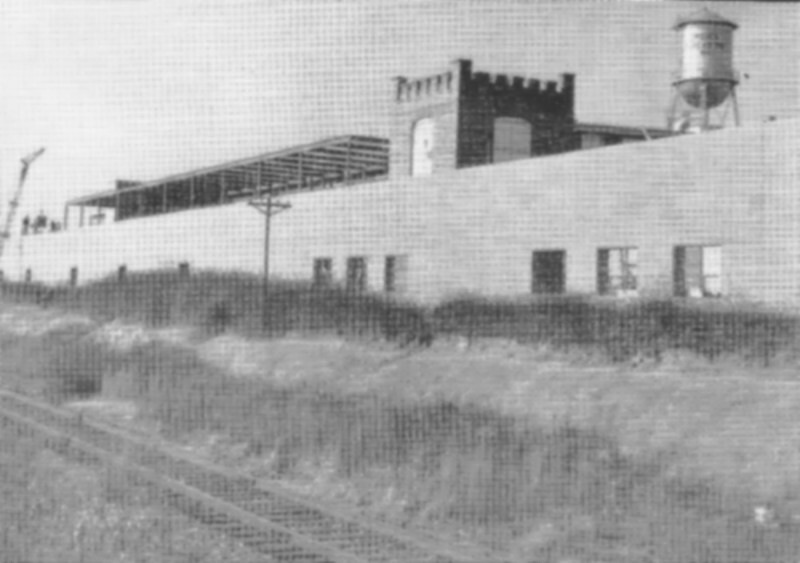 At right is the P&N depot as it appeared in the immediate post passenger era when this 1955 photo was taken. Image courtesy Bob Ford/Semaphore. 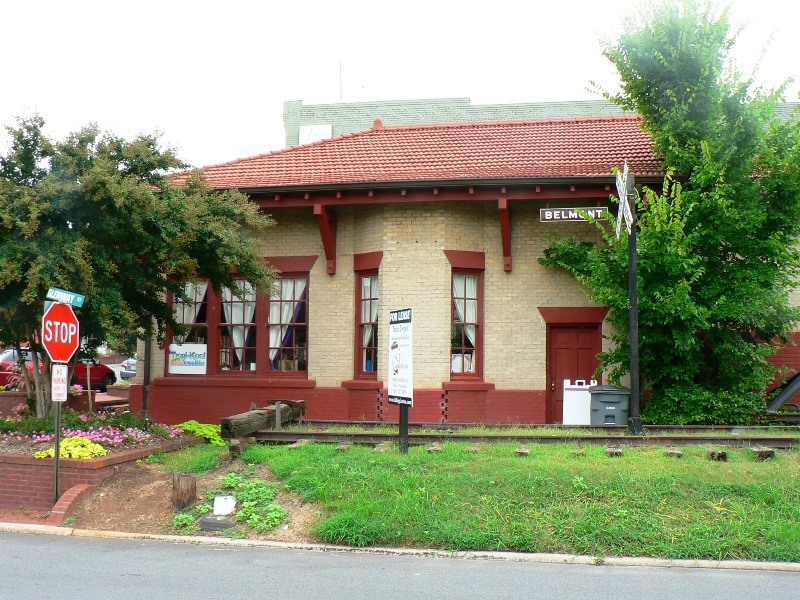 In its railroad heyday, Belmont was active passenger stop and hosted textile business that created traffic for the P&N. 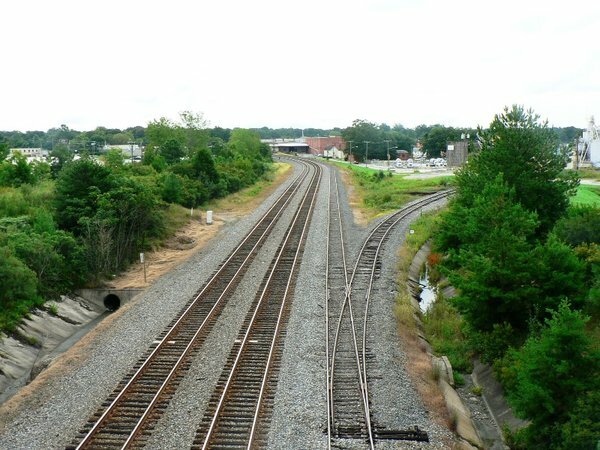 Not originally part of the 1912 construction of the railroad from Charlotte to Gastonia, the line to Belmont was built in 1916. 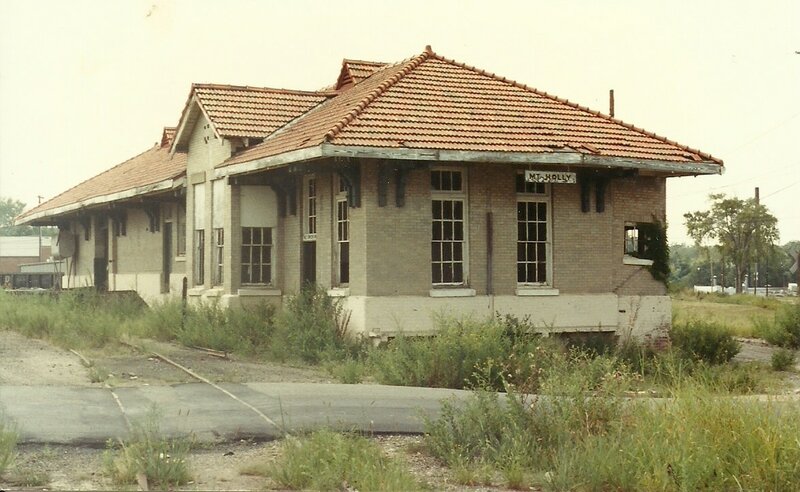 There was an active connection with the Southern at Belmont and although out of service by the end of the 1970s, the connection remained until the mid- 1980s. 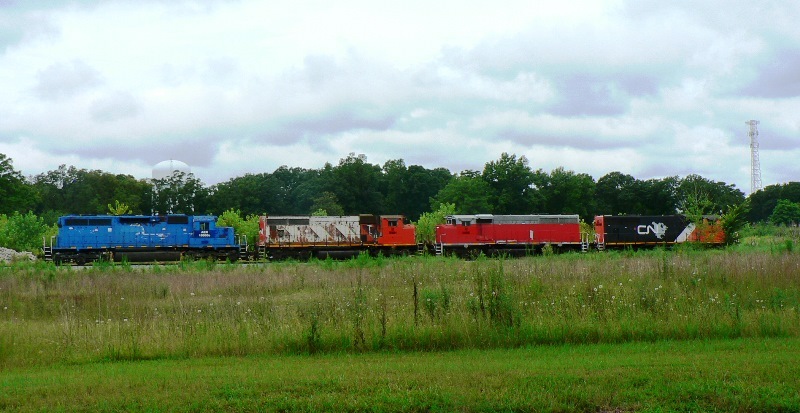 It was during this time that the Norfolk Southern demolished the old Southern depot there. 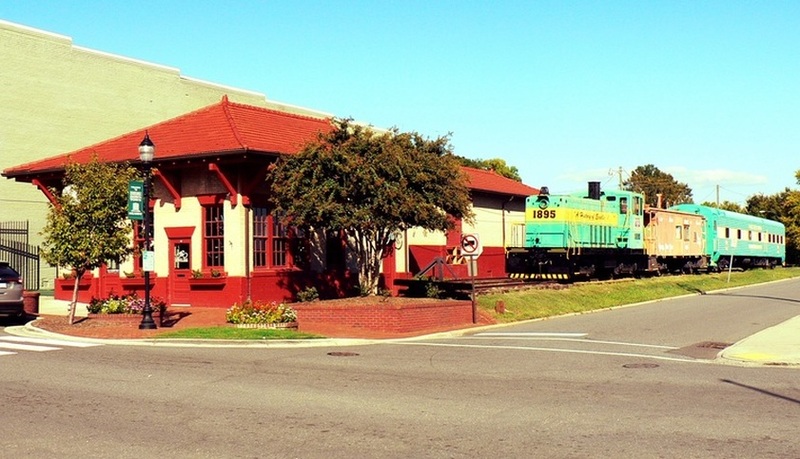 The P&N depot remains having housed a museum and shops throughout the years. 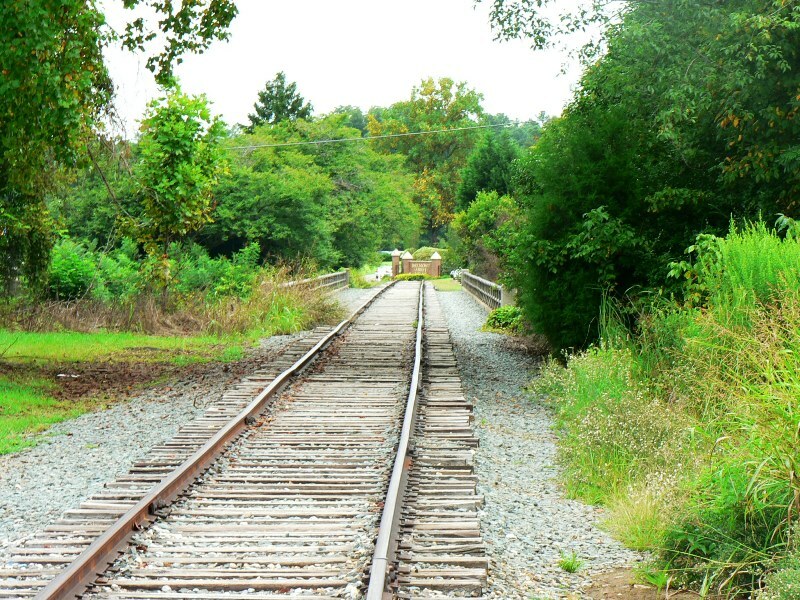 A section of the Belmont branch is slated for conversion to a rail trail in the fall of 2013. Whether this timetable remains on schedule is uncertain due to political red tape and the NCDOT. 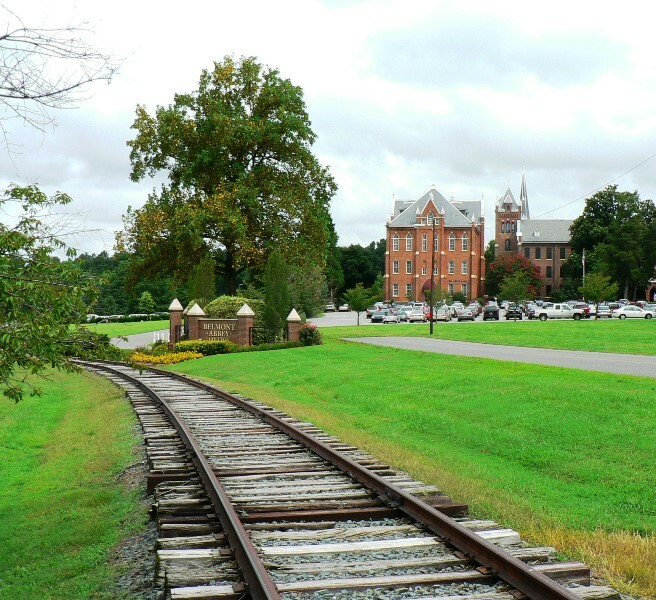 Today, the section of track from Belmont Abbey College to the depot area is in dilapidated condition and is the area of the rail to trail conversion. Even when the Piedmont and Northern reached its operational peak in terms of on line shippers, the region between Mount Holly and Lowell remained relatively sparse. Within this area were the junctions for Belmont and McAdenville but little existed excepting for the mainline. In accordance, there were fewer photographs taken of the railroad in this sector---in fact, they are quite scarce. Rail photographers then concentrated on the areas of greater activity not unlike their modern counterparts do today. This 1914 MyTopo map focuses on the region of the railroad between Mount Holly and Gastonia. 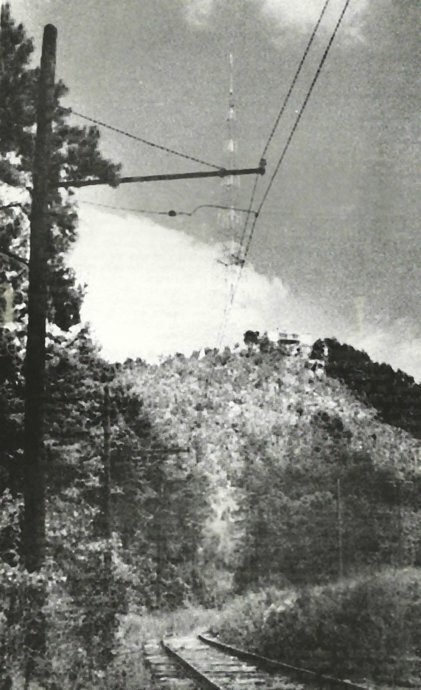 The branches to McAdenville and Spencer Mountain were already in existence but notice the Belmont branch is not. It was constructed two years after the date of this map in 1916.
main was called McAdenville Junction. 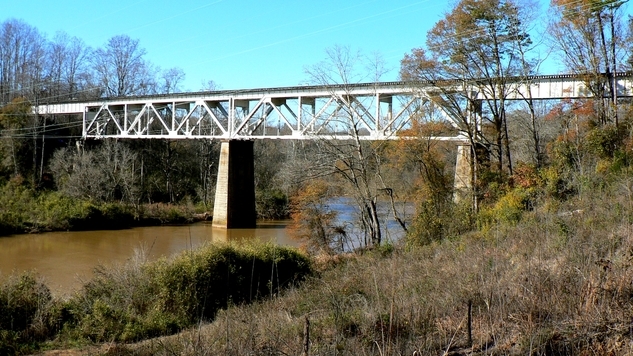 This area is also referred to McAdenville along the railroad which crosses the South Fork Catawba River in the vicinity. Textiles were also a major part of the landscape in the Lowell area. The P&N capitalized on this business just as the Southern Railway and both actually had spurs to the same customers. Lowell was large enough to warrant a depot which served interurban traffic but this structure, like many, has passed into history. This 1922 Sanborn map depicting the heart of Lowell offers detail of a layout nearly a century ago. Three mills dominate the scene and the intricate trackage of the Southern and P&N that served them. At the upper right is the P&N depot location at Lowell. The Lowell Mill #1 and #2 along with the Peerless Cotton Yarn Mill were but a microcosm of the textile industry in the region. So much industry and jobs, textile and otherwise, that this country once possessed now gone forever. Ranlo was once the junction for a 1.5 mile branch that ran to Spencer Mountain. This line was constructed in 1916 and ran to a rock quarry that was located at the base of the mountain. 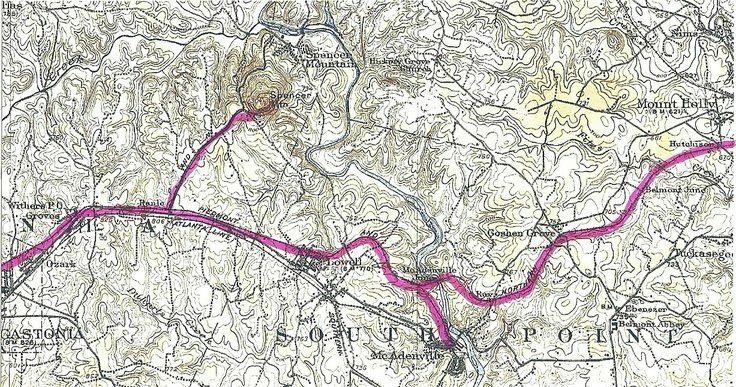 Plans were proposed to extend the line into the town of Spencer Mountain to serve a mill but this did not become a reality. 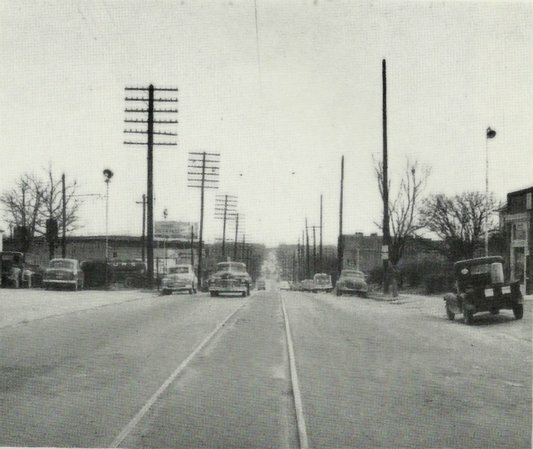 The branch diverged from the P&N main at Ranlo then became adjacent street track on Front Street (Spencer Mountain Road today). 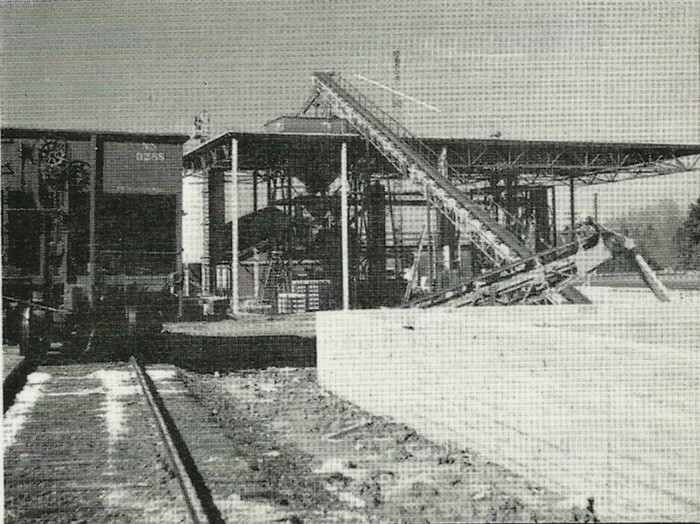 Two Rex Mills plants were built along the spur, however, and were still active into at least the 1950s. The branch line itself remained in service lasting into the mid-1980s during the Seaboard Coast Line era. 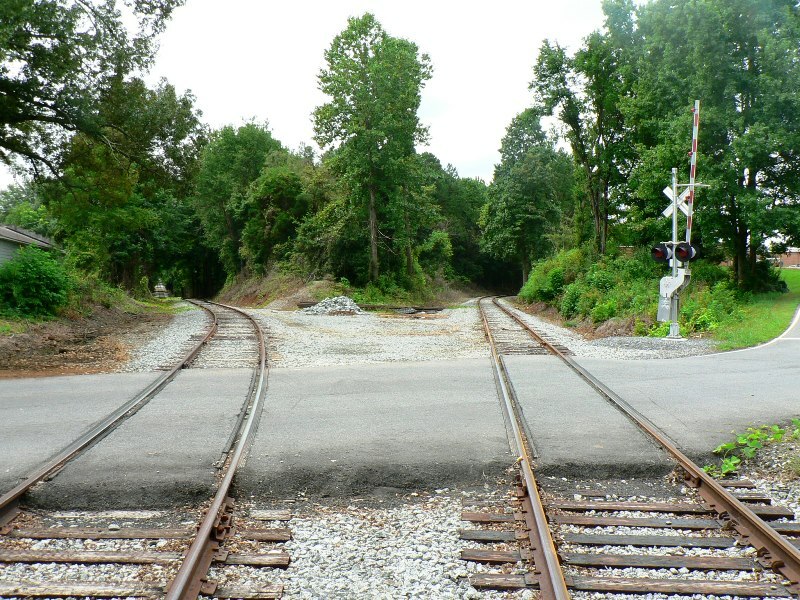 It was eventually removed by the early CSXT era and traces of the right of way are still visible parallel to Spencer Mountain Road. Today, Ranlo is the home base for Patriot Rail locomotives on the new P&N. On a curious note, just as the former P&N parallels CSX between Charlotte and Mount Holly, the section from Lowell to Gastonia does likewise with the Norfolk Southern. 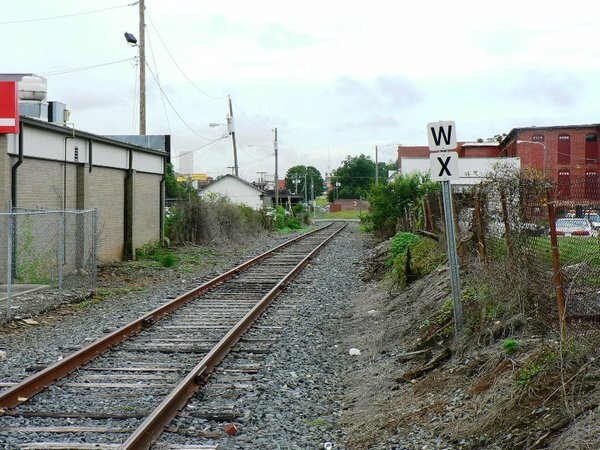 Visually speaking and from a rail enthusiast standpoint, the P&N trackage within the city of Gastonia was perhaps the most intriguing. Once the line passed beneath the Southern Railway mainline, the right of way traversed a residential district and turned onto Franklin Avenue. 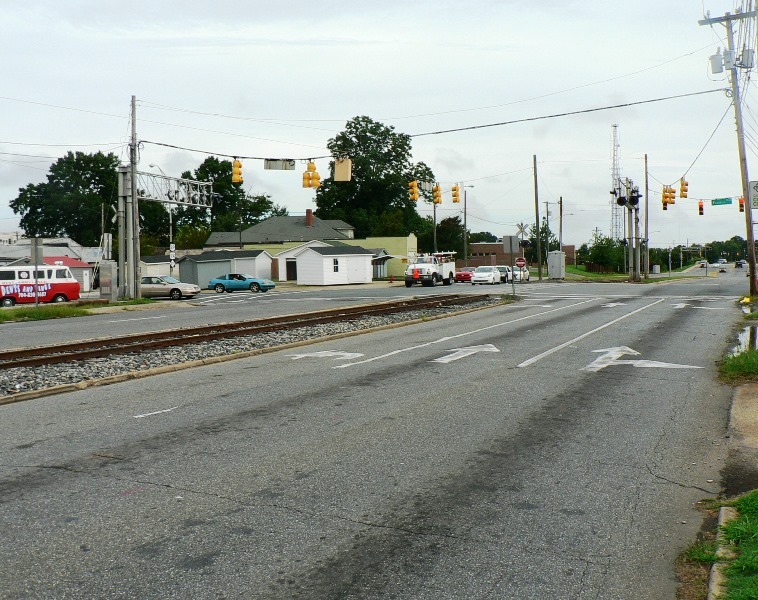 From this point at the intersection of Franklin Avenue and Chestnut Street, the P&N became a street railroad with the track in the asphalt running the length of Franklin Avenue to the area of Bessemer City Road. 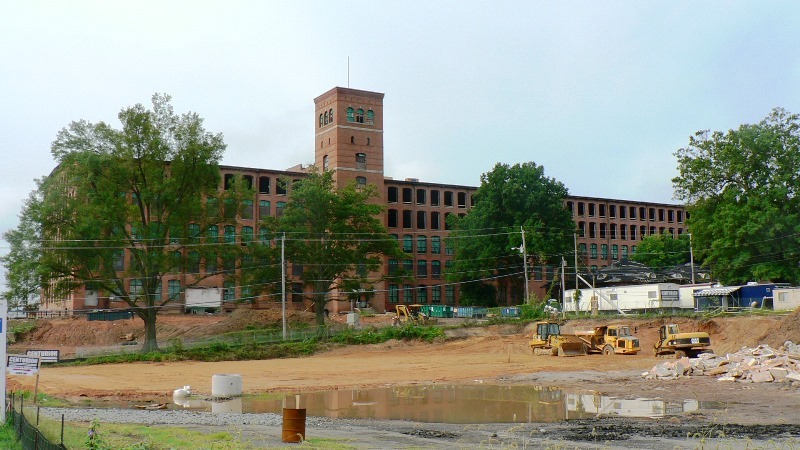 At its end, the line split into two spurs serving Gray Manufacturing Cotton Mill on West Overman Street and Parkdale Mills on Parkdale Avenue during the first half of the 1900s. Various other spurs branched from the Franklin Avenue line to the serve textile and other mills during the heyday of the industry. 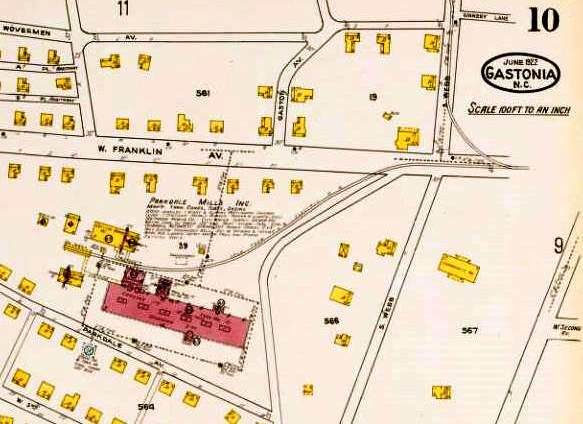 A 1922 Sanborn map that centers on the downtown sector of Gastonia with Franklin Ave and the street track. 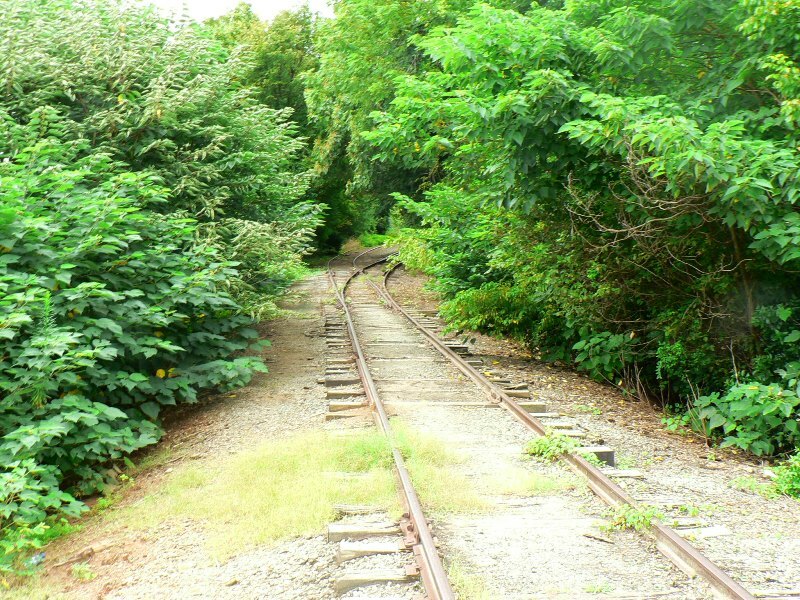 As this is only the main line (highlighted in yellow), numerous spurs branched off this section of railroad that are not indicated at this scale. At first impression, it may be surprising that the bulk of the Piedmont and Northern freight tonnage derived from coal and coke. But when it is taken into consideration the scope of the textile industry that prevailed in Gastonia and the region in general, it is understandable. Coal was the primary means of generating power and virtually every mill of consequence contained a coal unloading trestle. These were also the peak years for the fuel and ice operations that accounted for a percentage of this tonnage as well. 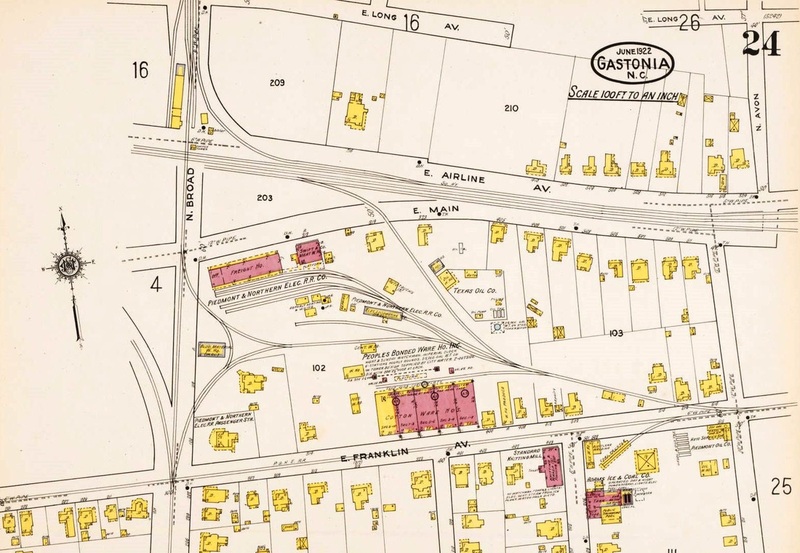 1922 Sanborn map depicting the P&N entry into the heart of Gastonia. After passing beneath the Southern Railway, it turned west and entered East Franklin Avenue as street trackage. At the intersection of Chestnut Avenue, a spur branched off to serve the Cocker Machine Works. 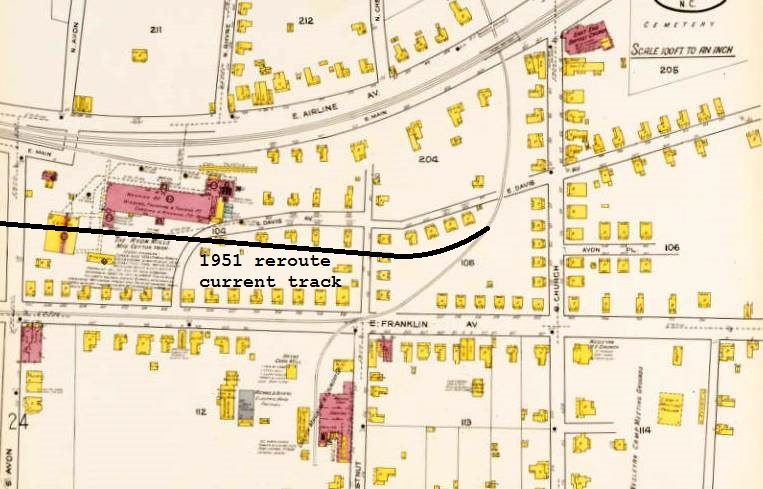 The 1951 reroute when the Franklin Avenue track was abandoned for street widening has been added here in black. The new route passed by but did not serve Avon Mills. 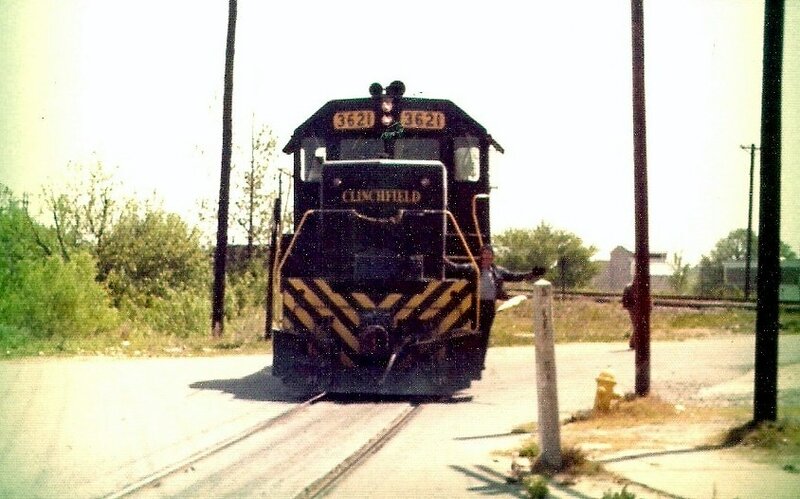 Vintage P&N electric power on the lead of a train moving east at the corner of East Franklin Avenue and Chestnut Street. This large cut of cars either came from the mill sidings or the Gastonia freight yard. Photo courtesy of University of North Carolina-Charlotte Library. 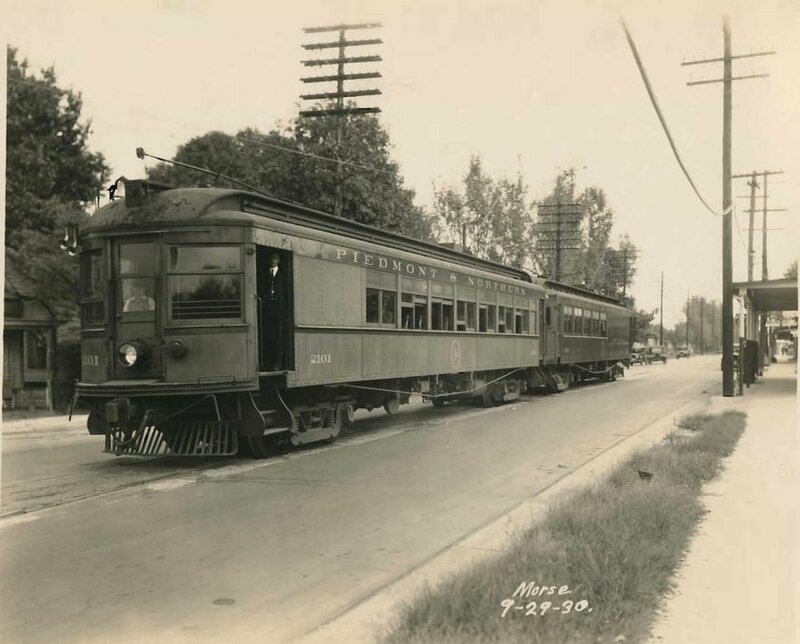 Although certainly a nuisance for automobile traffic, the street trackage was ideal for the P&N interurban service. 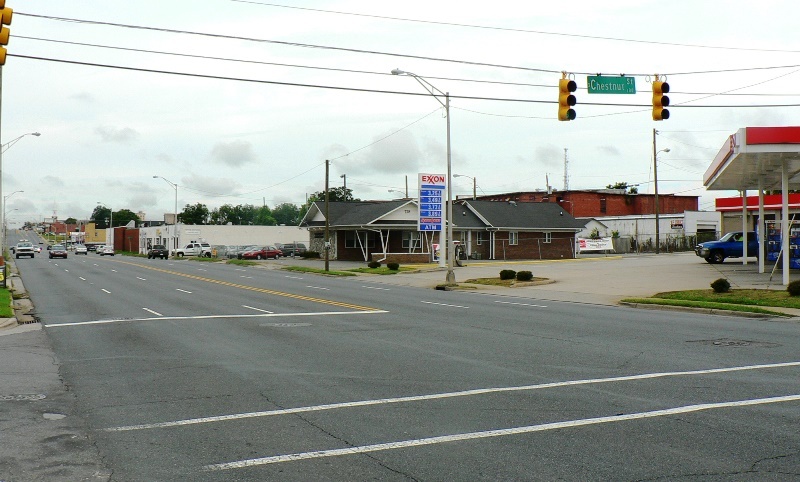 The route served a densely populated area of town and the depot was located along this stretch at the southeast corner of Franklin and Broad Street. This operation remained intact until after World War II. 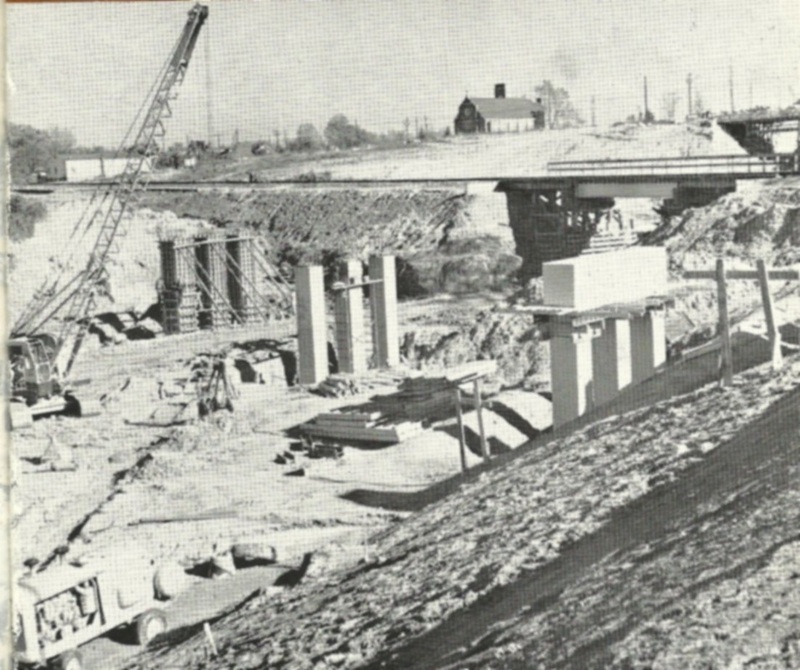 The final interurban runs occurred on September 21, 1948—a late date as interurbans go---and the Franklin Avenue widening project commenced circa 1950. 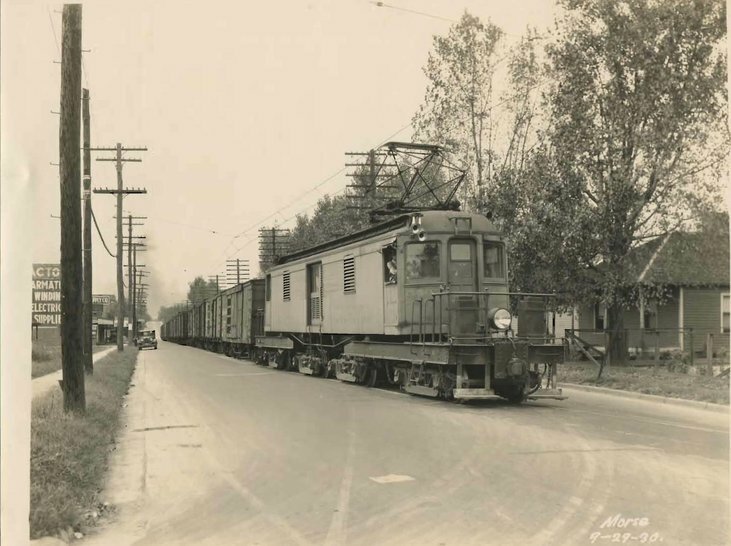 When Franklin Avenue was widened, the railroad was abandoned within its right of way and relocated to its current configuration as it exists today. The line also crossed the Carolina & Northwestern Railway (later absorbed by the Southern) with a double diamond at the Broad Street and Franklin Avenue intersection. 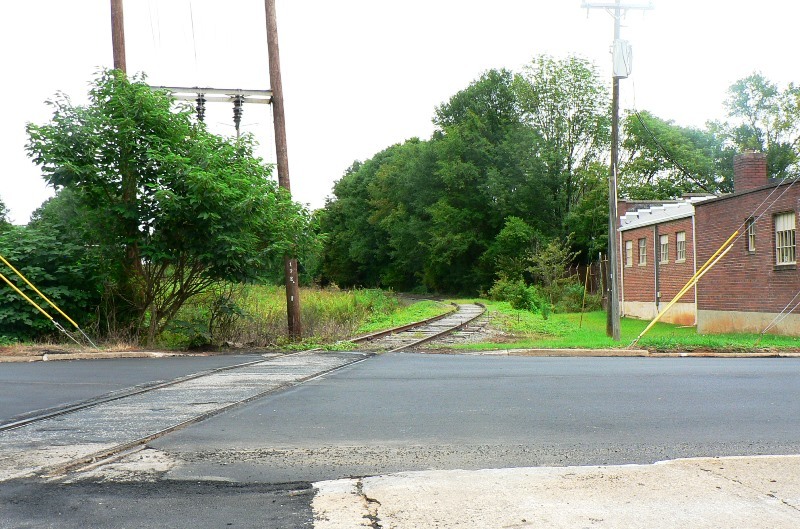 The block bounded by North Broad on the west, East Main north, South Avon east, and East Franklin south contained an arrangement of railroad track as unique as any. 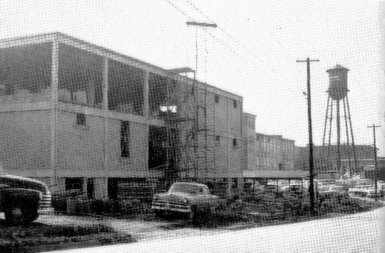 Inside this block was the P&N depot, freight terminal, and Gastonia yard. 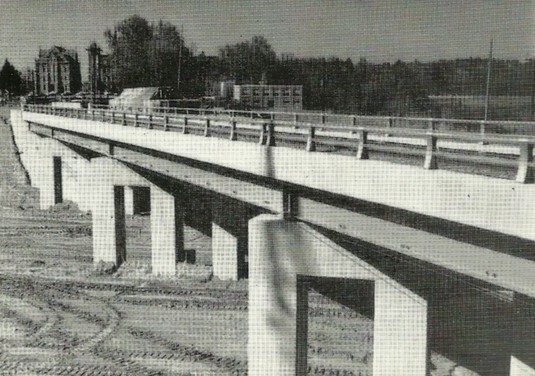 In addition there was the connecting tracks to both the Southern and Carolina & Northwestern and a wye connecting the P&N and C&NW. 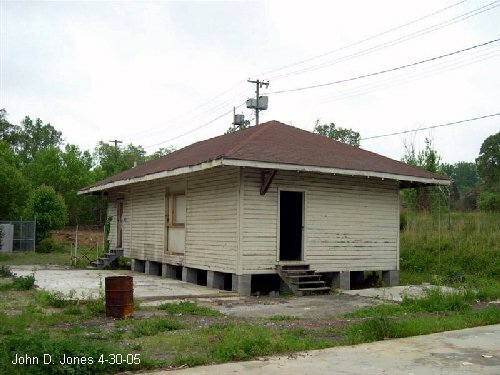 This block managed to pack in residences and industry, too, such as the Texas Oil Company, Swift & Company, and a cotton warehouse. 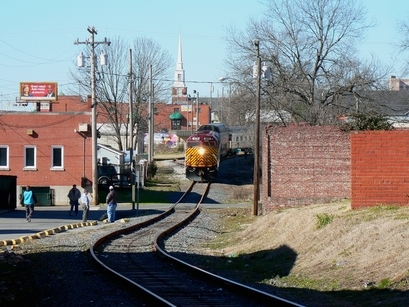 The heart of Gastonia in the heyday of the railroad. This 1922 Sanborn map captures the intricate trackage at city center featuring the multi-track Southern Railway, the north-south Carolina & Northwestern Railroad, and the P&N terminal area. This would be a challenging yet fascinating track plan to recreate on a model railroad. The engineer and conductor look on for posterity as P&N powered combine #2101 and an unidentified mate run on Franklin Avenue in this 1930 image. Image courtesy of University of North Carolina-Charlotte Library. The western end of the pre 1951 Franklin Avenue street trackage. The line split at South Webb Avenue with a spur to Parkdale Mills and Gray Mills. Gray Mills yet another textile mill in the city of Gastonia. This plant was served by a dual spur from both the P&N and the Southern Railway. This was relatively common with textile mills in proximity to both railroads. 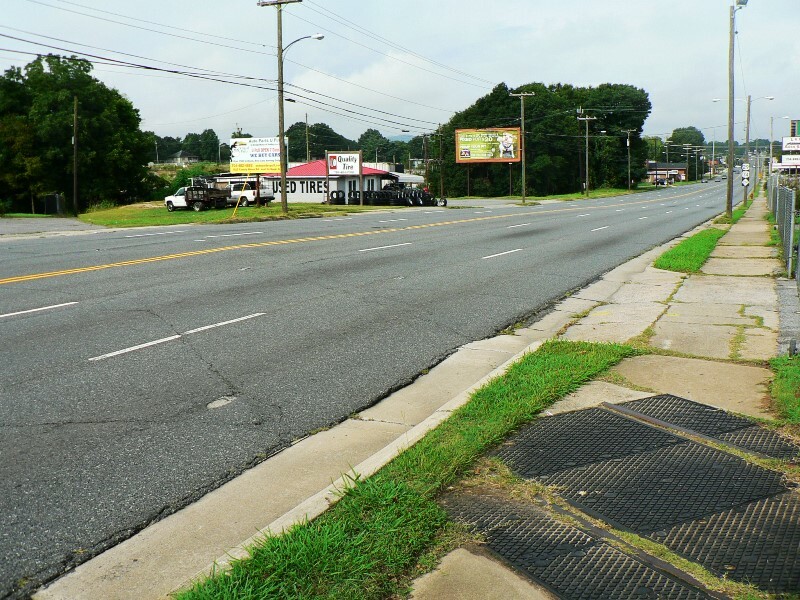 The P&N decline in the Gastonia area, not unlike any other region of the country, began in earnest during the post-World War II years. 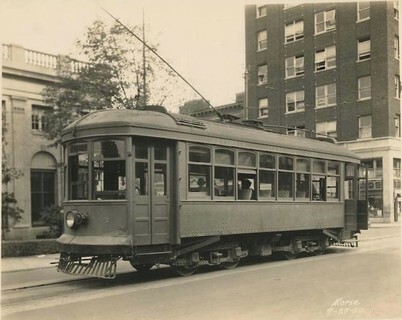 With interurban service ending in 1948 and the subsequent removal of the street trackage on Franklin Avenue, this immediately reduced the number of customers served from this stretch of line. It was also during this era that industry began consolidating and over the road trucks began taking the business once dominated by rail. 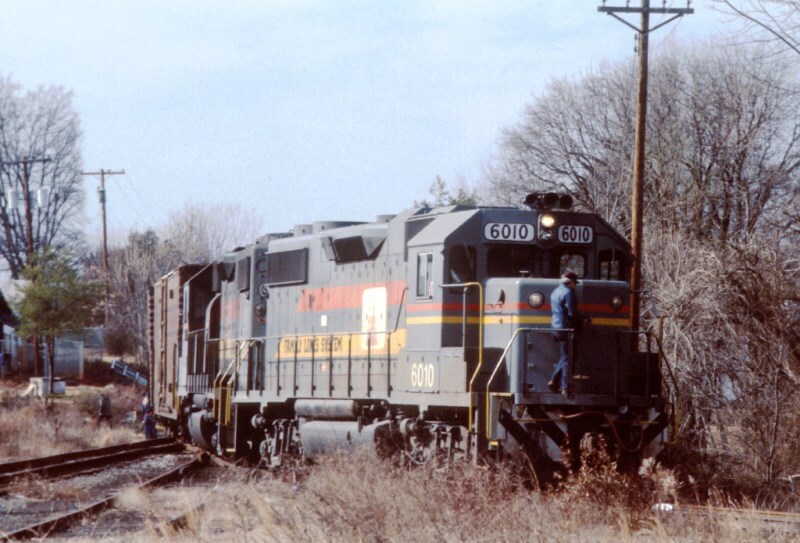 With the passing of decades the rail business once served by the P&N had declined steadily. 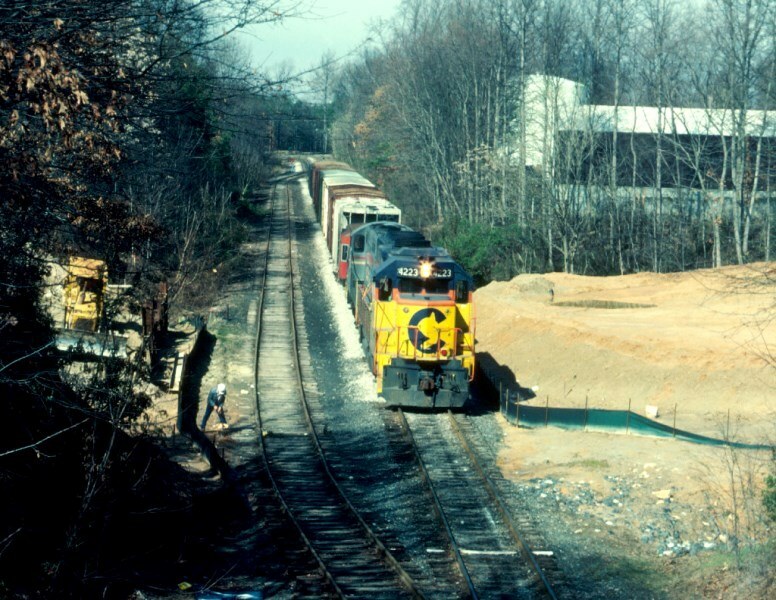 By the time that CSX had acquired what once was the P&N during the 1980s, the traffic from Mount Holly to Gastonia was in effect waning and resulted in its sale to the NCDOT in 1991. The potential for 21st century rail revival on the P&N has returned, however. 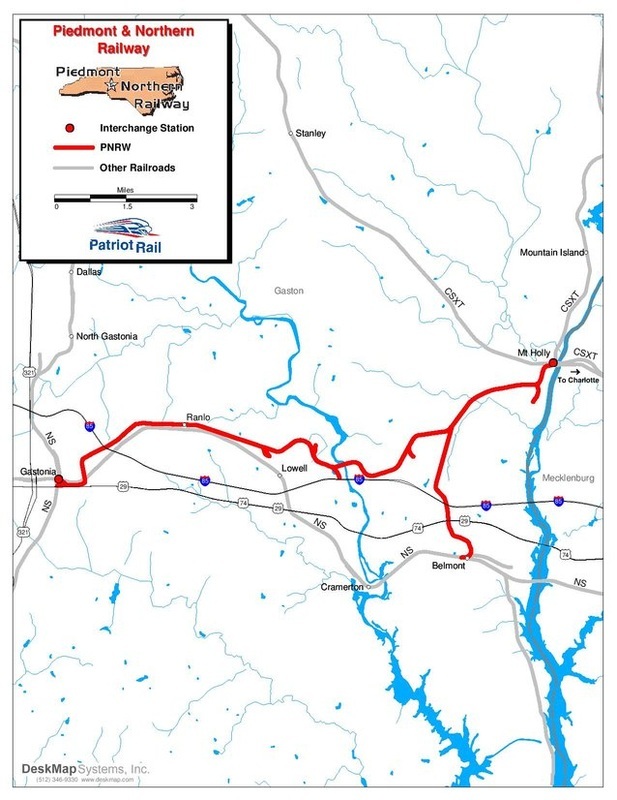 Patriot Rail now operates the NCDOT owned Mount Holly-Gastonia section and it projects the railroad to be more than simply a return to the Piedmont and Northern in name only. Rail customers are needed---and if they can be attracted---will translate into business and jobs. 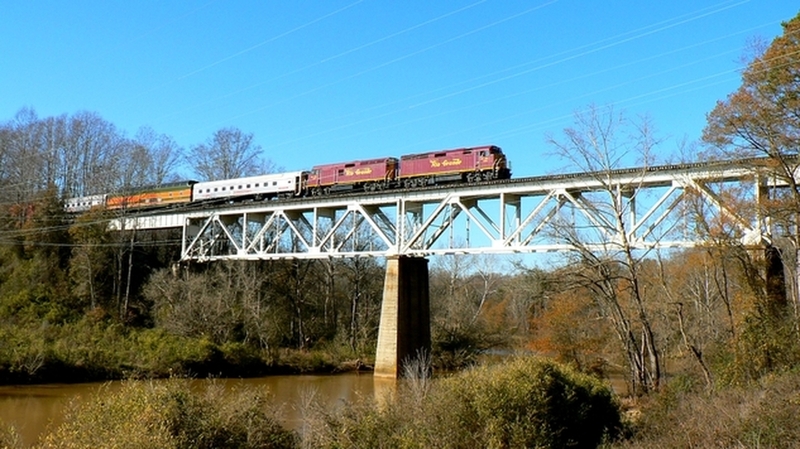 The modern day Piedmont and Northern as operated by Patriot Rail. 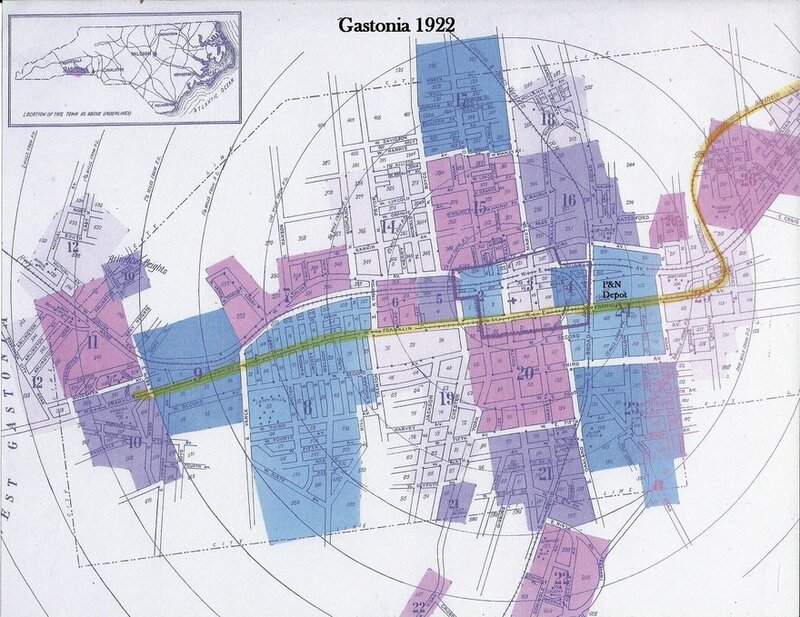 Map highlights the line from Mount Holly to Gastonia and also includes the Belmont branch. Map used with permission of Patriot Rail. The old adage “it’s hard to keep a good man down” might also apply to a once successful railroad stamped by time and memory. So it is with the Piedmont and Northern. 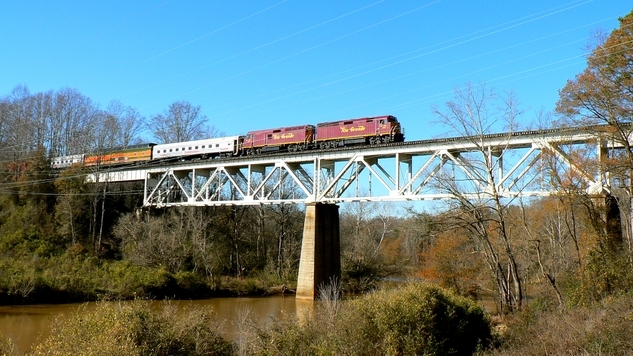 Forty years after the 1969 merger with the Seaboard Coast Line, the name has been reincarnated to apply to a section of the railroad that once bore that name. 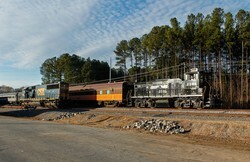 In December 2010, Patriot Rail, a holding company that operates several short line railroads in the United States, announced it had signed a 20-year agreement with the North Carolina Department of Transportation (NCDOT) to operate the former 13 miles of P&N line between Mount Holly and Gastonia. 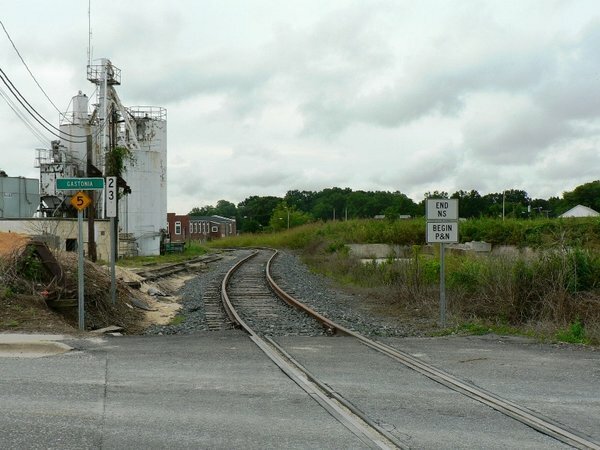 The NCDOT had acquired the line from CSX in 1991 and for twenty years, the line lay dormant with track in place but in a state of deterioration. 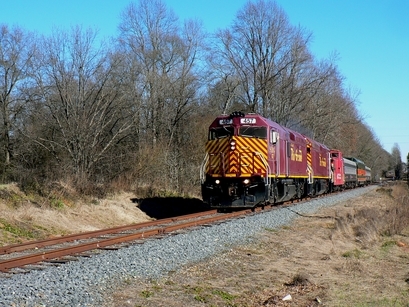 After refurbishing the railroad with new rail and ties and the installation of crossing signals, the “new” P&N initiated test runs during the early 2012. 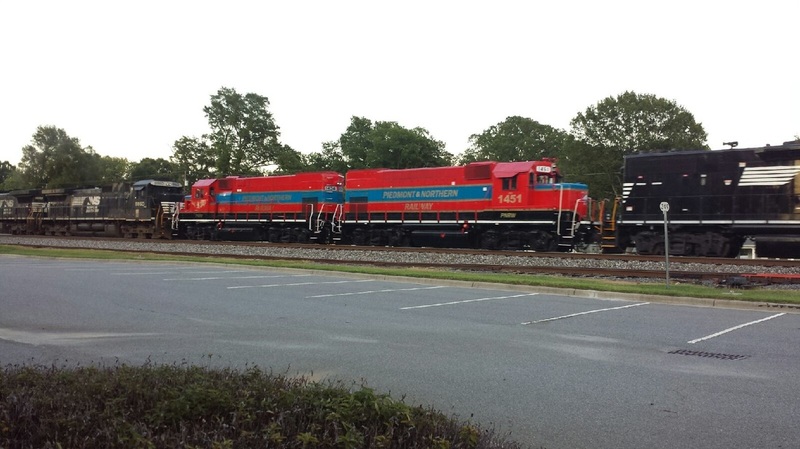 Revenue service began shortly thereafter and at present, four active rail customers are now served in addition to locomotive storage. The former branch to Belmont has been partially rebuilt and the hope is for eventual return of business along this stretch of rail also. Also to the advantage of operation, the short line has a dual interchange with CSX at Mount Holly and the Norfolk Southern at Gastonia. 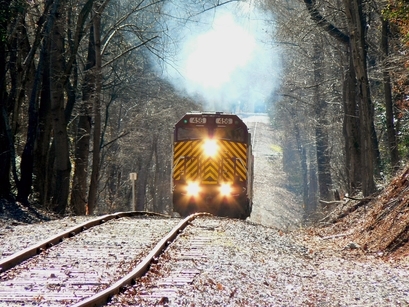 Statistics and trends indicate the future outlook of the Patriot Rail/P&N railroad is positive as the rail industry as a whole continues to prosper. The new P&N is headquartered at Gastonia. 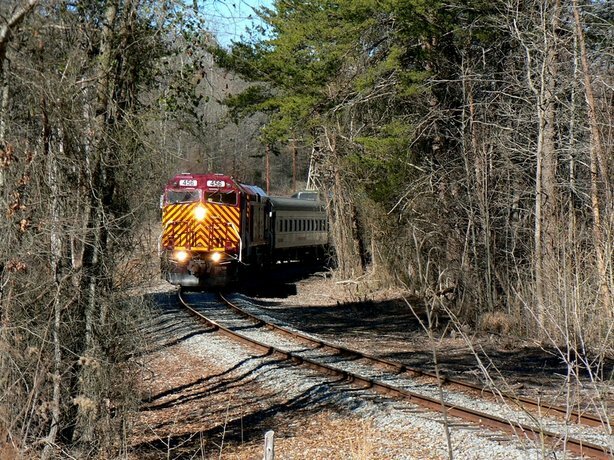 Until only a short few years ago, I knew very little about the Piedmont and Northern Railway. References to it were heard often at work but as to any significant amount of history, that aspect was non-existent. It was only after hearing a discussion about the road by fellow railfans that encouraged me to research the road and its history. This page is the result of that research along with some leg work and the privilege of conversing with fellow employees both active and retired who had connections to the road. Certainly not a comprehensive works by any measure but I hope the reader has found it informative. From a personal standpoint, the P&N has become one of my favorite roads from history. It possessed a rich blend of charm, independence, and a uniqueness that distinguished it from most other railroads. The company was well managed--it had to be to survive as it did---competing on the same turf in the shadow of the Seaboard and Southern giants. It truly was a David coexisting with Goliaths. Another remarkable characteristic of P&N was that it retained its kinship to the communities it served while exhibiting keen foresight towards future growth. The times and trends changed but the company never shunned its small road persona. 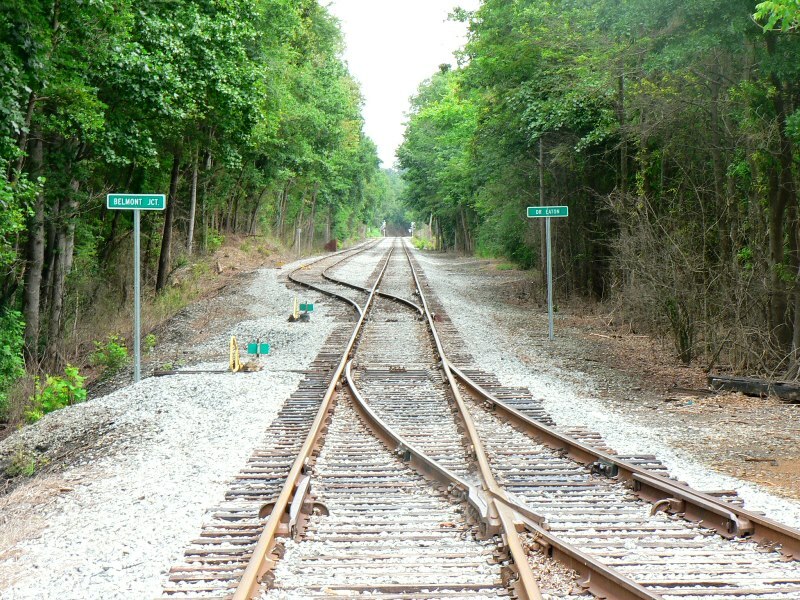 The North Carolina Department of Transportation (NCDOT) announced in September that Patriot Rail opted not renew its lease of the Mount Holly-Gastonia trackage for 2015. The two shippers along the route will continue to be served until a new operator can be secured. 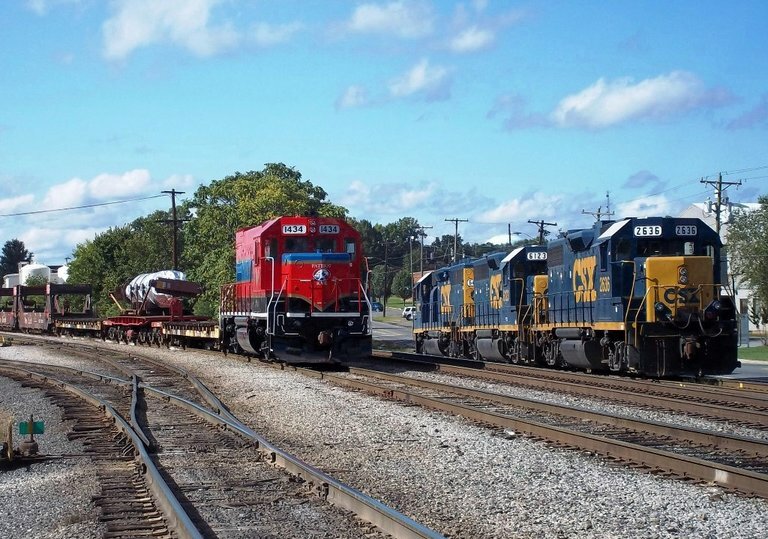 Despite this change, Gaston County officials remain optimistic that the line will eventually attract additional shippers. 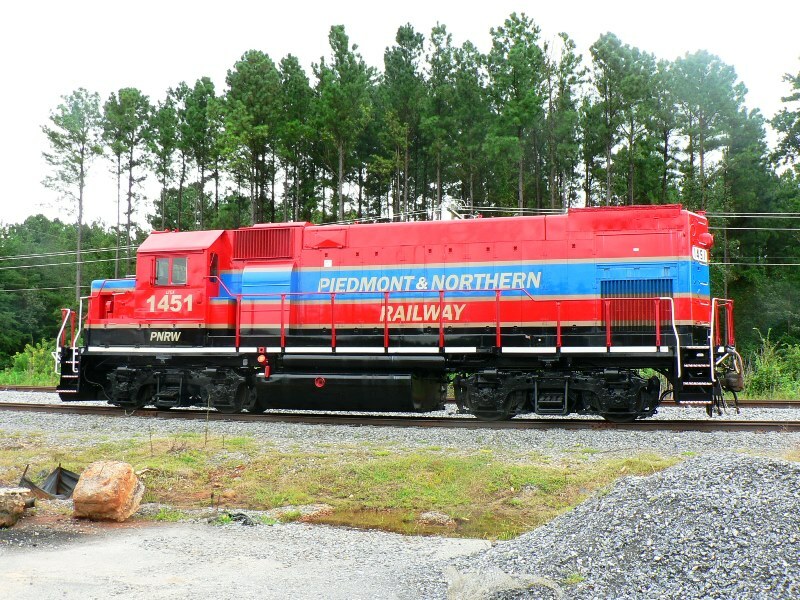 Whoever takes over the operation in 2015, it remains to be seen whether the Piedmont and Northern name will be retained. October 1, 2014: Here is a link to a byline that appeared in the September 28 Charlotte Observer and will remain here as long as it stays active. Some rather grandiose plans founded in optimism at this time. July 30, 2015: Final day of operation under Patriot Rail. Iowa Pacific is reported to take over operation of the line. Simply changing the operator is not a cure all for this this piece of railroad. Hopefully, some dedicated effort will occur to generate additional online business moving forward. 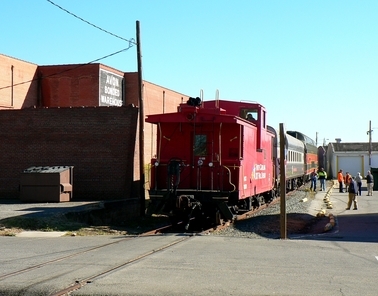 In addition, it appears the Piedmont and Northern name will not be retained---Iowa Pacific Holdings will operate here under the name Piedmont Railway, LLC. Effective August 1, 2015, operation of the Piedmont and Northern route passed from Patriot Rail to Iowa Pacific, LLC. 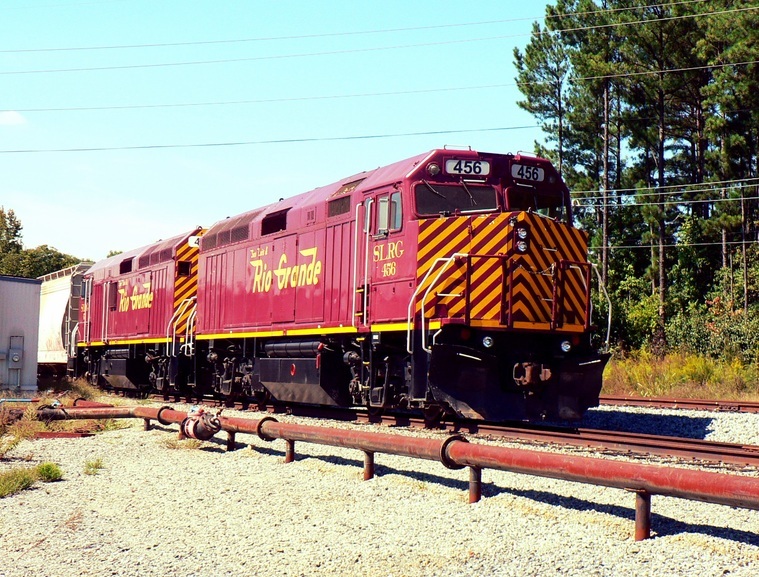 The new company operates other short line railroads across the country and is among the most respected of many such enterprises. Iowa Pacific will face the same challenge that led to the vacancy by Patriot Rail---the need for shippers. 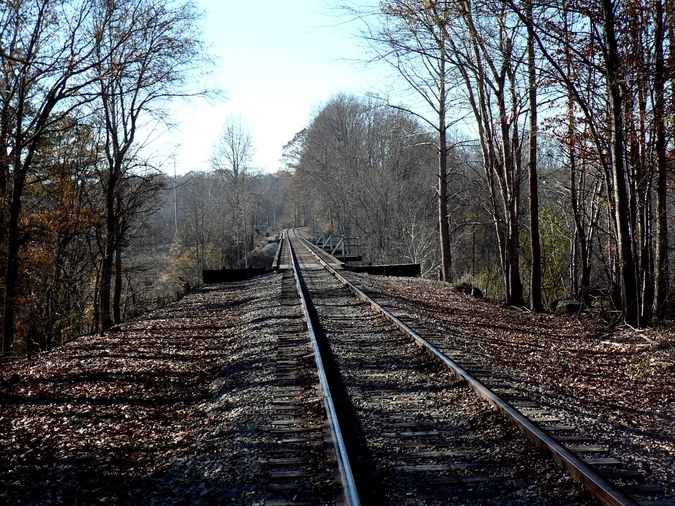 It will take a cooperative effort by local governments, economic planners, and the railroad itself to ensure the long term success of the railroad. At the time of transition, Iowa Pacific listed the operational name of the route as the Piedmont Railway. Whether this reverts to Piedmont and Northern remains to be seen. As in regards to the railfan or historian, it will always be the P&N. At the outset, Iowa Pacific leased GP60 #7144 from Norfolk Southern to commence operations until its own power could be transferred. In September, that power arrived on the property in the form of SLRG F40PH #456 and F40PH (actually a slug) #457. A rather unique and interesting choice of ex passenger power for use on a freight short line. The Iowa Pacific has quickly created a positive atmosphere since taking over operation of the railroad in 2015. 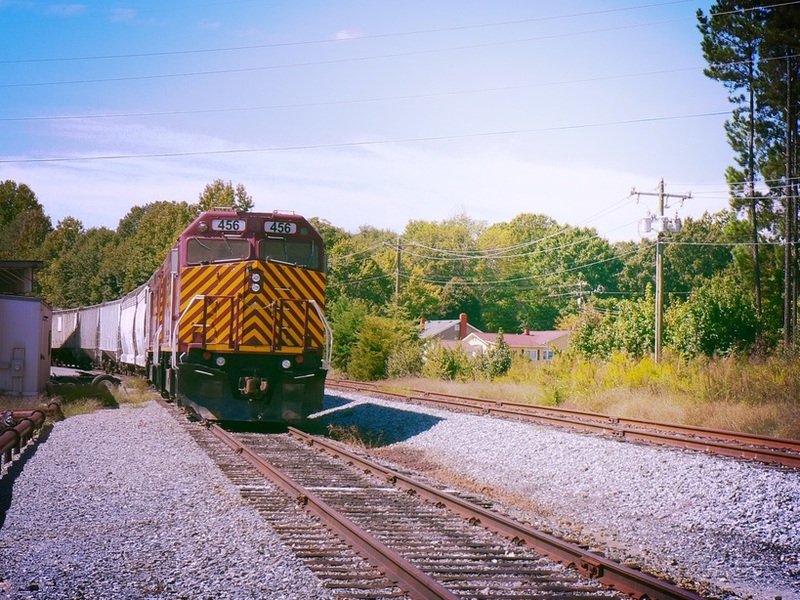 From a freight standpoint, there has already been a slight increase in carloads although several parties proactively must increase the traffic by luring in additional shippers. The line has promise if marketing can actively promote it. The railroad has quickly endeared itself to the railfan--and public---with its striking locomotives and running of a Christmas Train mere months into Iowa Pacific operation. Hopefully, this is a portent to prosperous and interactive times ahead. 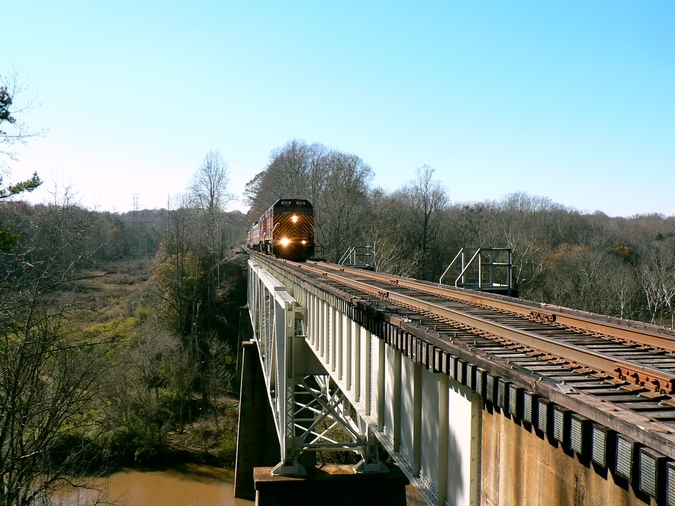 If one were to wish to experience the atmosphere of the original Piedmont and Northern Railway era, a day spent along the railroad on January 30, 2016 would have provided a sampling. 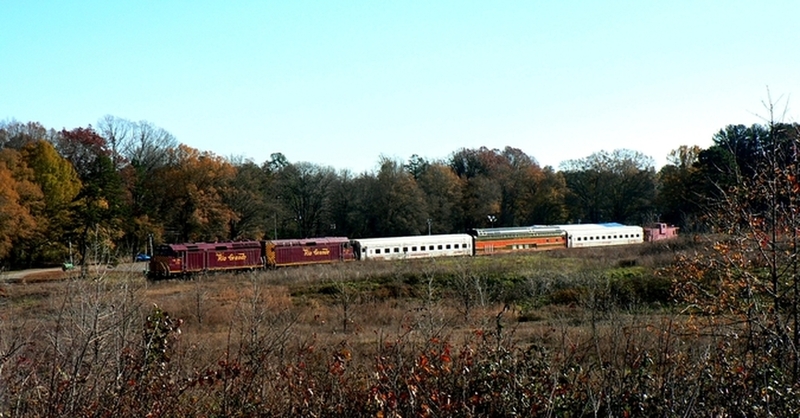 Sponsored through the parent company Iowa Pacific, the road operated two excursions from North Belmont via Mount Holly to Gastonia on a beautifully mild winter day. 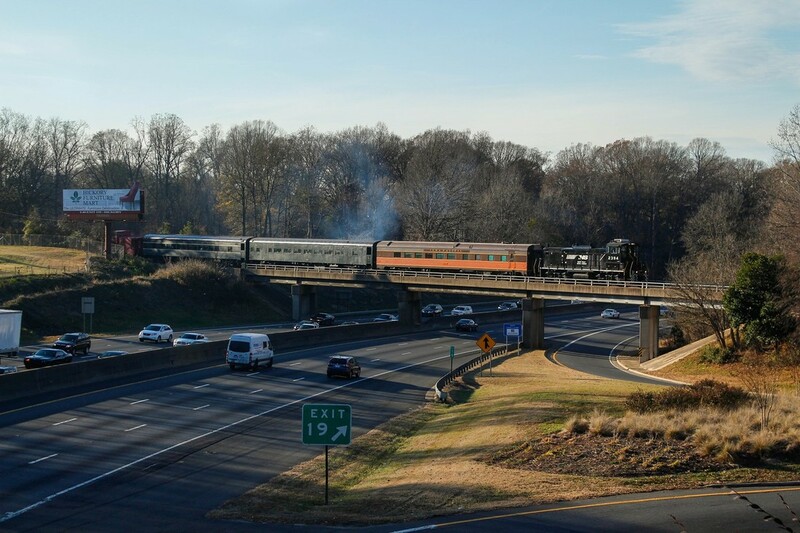 The road had operated excursions previously during the Christmas holiday season but the highlight of these trips was the trains taking passengers into the heart of Gastonia----the first since 1951. 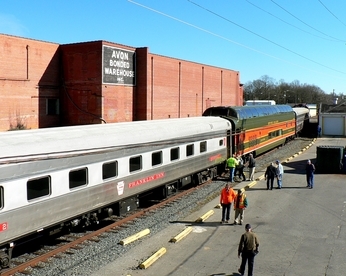 In reality, this possibly was the first time passengers arrived in Gastonia on the P&N as it is configured now. 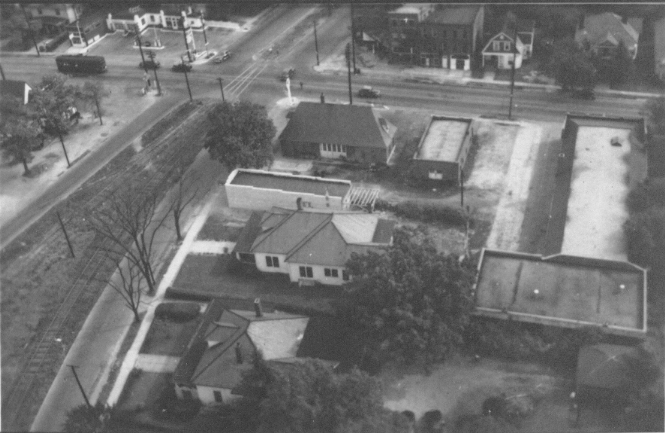 It was also 1951---the year that the road discontinued passenger service---that the street track in Franklin Avenue was removed and realigned north of the street to the Gastonia depot/yard and connections to the Southern and Carolina & Northwestern Railways. 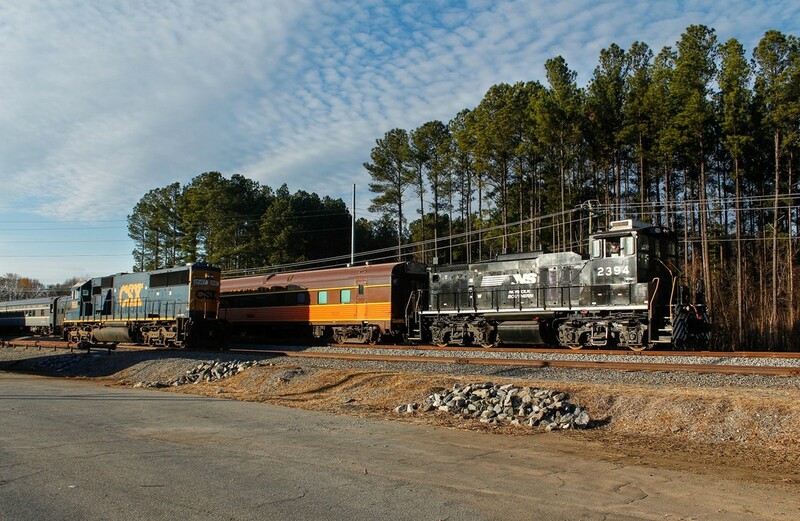 Iowa Pacific in its early tenure as operator of the Piedmont and Northern has established serious momentum. It has quickly endeared itself to the public---most incognizant of its storied ancestry---and to the rail historian and enthusiast. If the operation can continue to expand with a steady customer base while simultaneously operating excursions, it will mean a mutually winning situation for all. Perhaps it can further pay homage to the original P&N with a locomotive painted to reflect that bygone era. During July 2016, the F40P locomotive set was involved in a grade crossing accident and subsequently taken out of service. 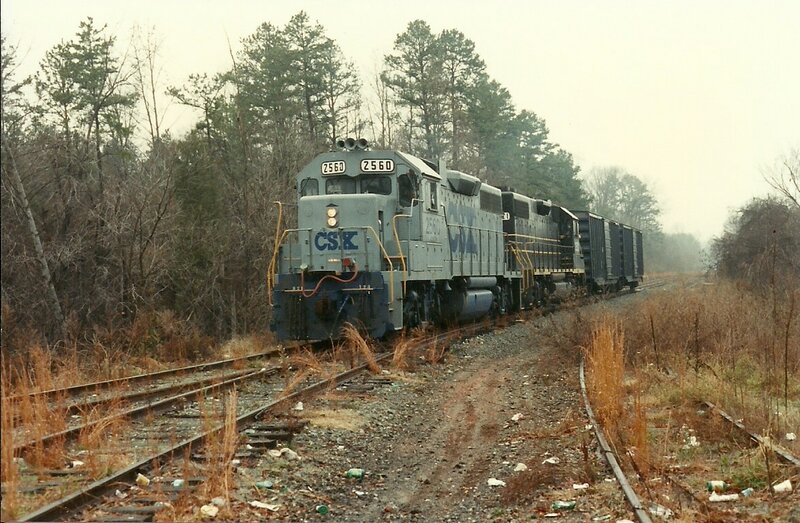 As a result, the P&N leased power from Norfolk Southern which consisted of a GP60 and later in year, a MP15E. 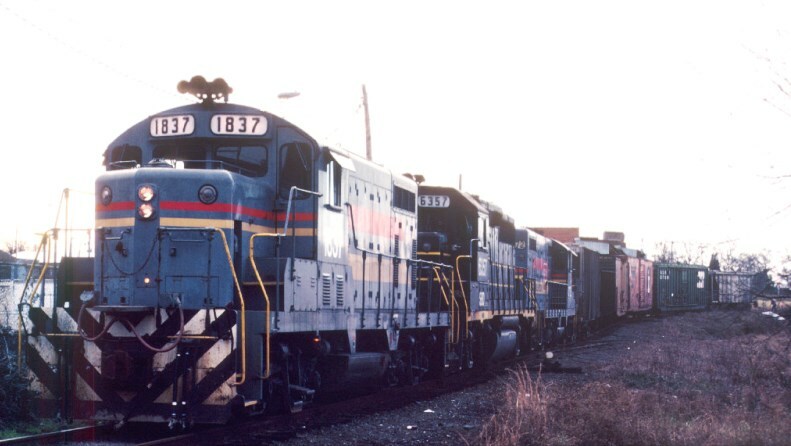 The P&N also used a SD50-2 on loan from CSX. 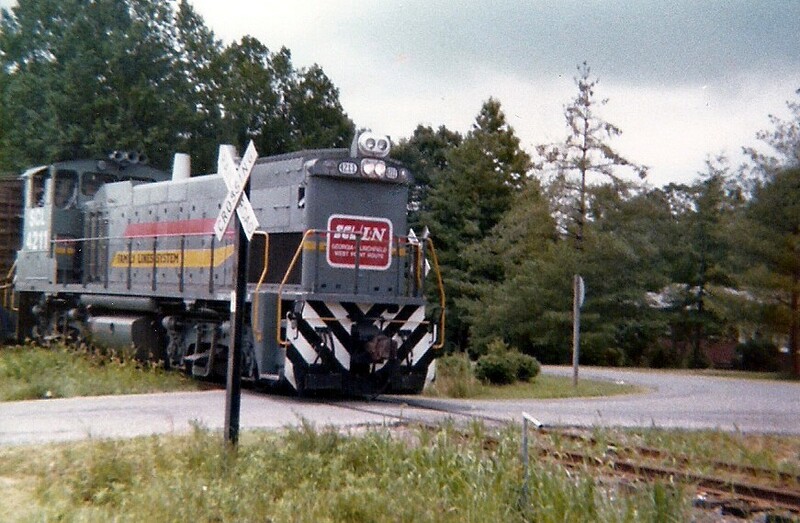 During the interim, an order was placed for two SLRG F7As that wore the paint of the Lehigh Valley. ​There was initially a slight hope that these locomotives would arrive in time for the Christmas excursion trains. Unfortunately, it was in December when they arrived and upon inspection, were found to have mechanical defects. 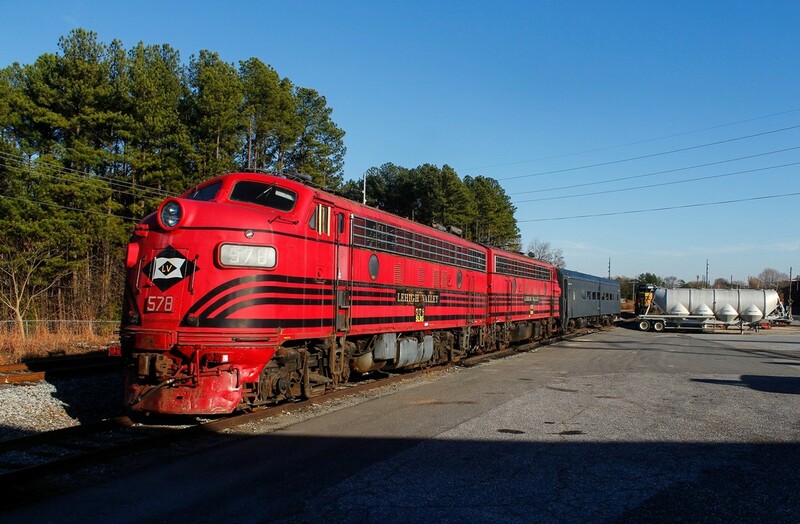 By the end of the year the decision was rendered to send the F7As to Iowa Pacific shops in Grenada, MS for repair. Although the locomotives never turned a wheel in revenue service on the P&N, they proved to be magnets for photographers. To begin with or return to "Piedmont and Northern--Yesterday and Today" Part I, click here. I am grateful to the following individuals and organizations for making this page possible. 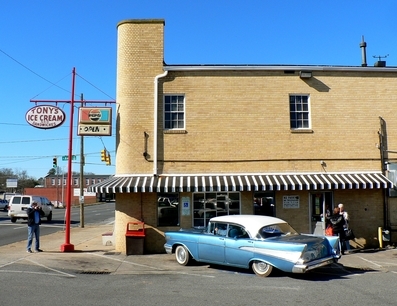 ​VintageGastonia.com --an outstanding web page loaded with images and history about Gastonia.